There is a palpable sense of confusionand sometimes even embarrassmentwith regard to so-called limited atonement today, pointing to the need for thoughtful engagement with this controversial doctrine. 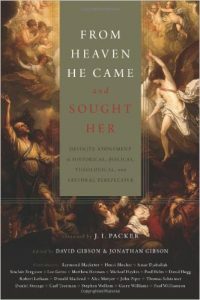 Incorporating contributions from a host of respected theologians, From Heaven He Came and Sought Her stands as the first comprehensive resource on definite atonement as it examines the issue from historical, biblical, theological, and pastoral perspectives. Offering scholarly insights for those seeking a thorough and well-researched discussion, this book will encourage charitable conversations as it winsomely defends this foundational tenet of Reformed theology.